Broekman Logistics is participating in the Breakbulk China photo contest: Dusk to Dawn. The photo and video contest for 2017 is all about transports that take place from dusk until the early hours of dawn! All photo and video entries will be displayed at Breakbulk China 2017, 13-16 March at the Shanghai World Expo Exhibition & Convention Center in Shanghai, China. The photo winner will be featured in Issue 1 of Breakbulk Magazine 2017. Broekman Logistics will also be present with their own booth. Online voting is now open until February 3rd 2017. Vote by clicking here and support Broekman Logistics. 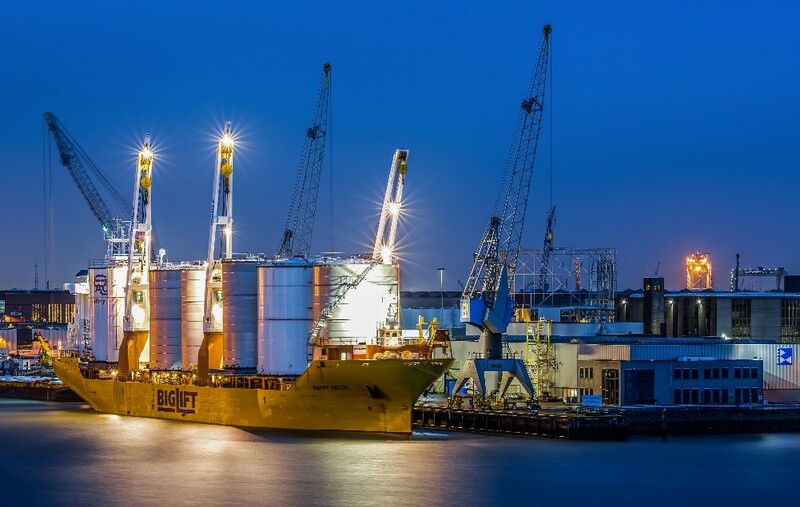 Broekman Logistics entered the following photo: Project of 13 chemical storage tanks handled by Broekman Project Services at our own Breakbulk & Heavy Lift terminal in Port of Rotterdam.